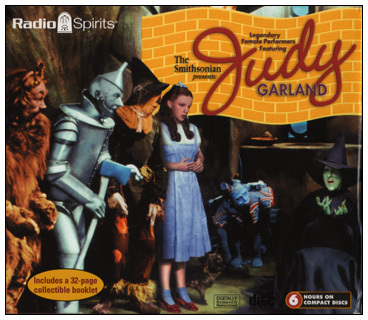 One of the few "official" CD releases of Judy's radio work, this boxed set contains 6 CDs with 7 complete radio broadcasts. The sound quality is excellent and this is the only CD release to date of the complete broadcasts of these programs. The 34 page booklet is well done, although it contains a few errors, such as listing the date of Judy's death as June 21st, 1969 rather than the 22nd. And a caption to a photo from the 1954 A Star Is Born erroneously lists the date of release as 1937 (the date of the original film starring Janet Gaynor). The image above is of the cover of the box. The image at the right is the cover of the booklet. 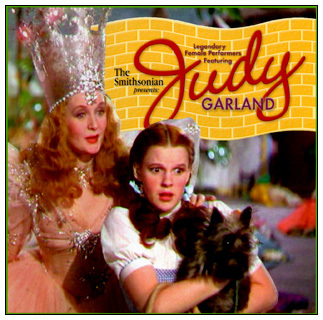 CBS Radio - "Lux Radio Theater"
CBS Radio - "The Screen Guild Theater"